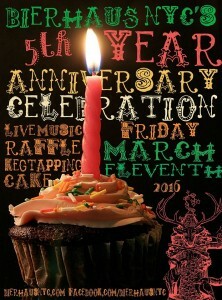 Congratulations & happy 5th anniversary to Paul and our friends at Bierhaus NYC. The German bier hall in midtown has been celebrating like its Oktoberfest every night since 2011. They serve authentic German cuisine and steins of Hofbräu beer.